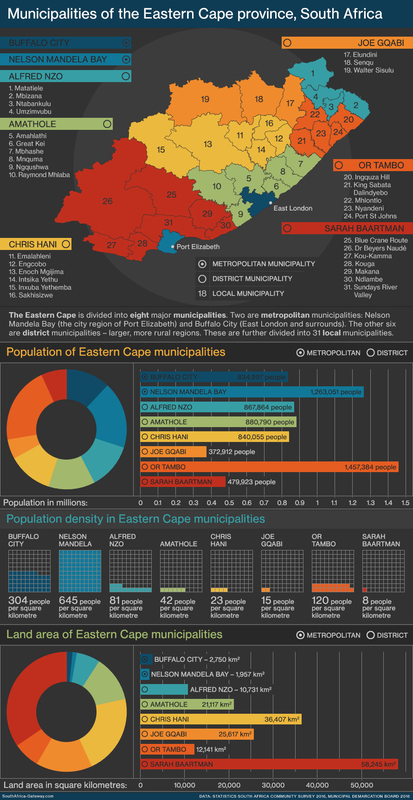 The Eastern Cape is divided into eight major municipalities. Two are metropolitan municipalities: Nelson Mandela Bay (the city region of Port Elizabeth) and Buffalo City (East London and surrounds). The other six are district municipalities – larger, more rural regions. The district municipalities are further divided into 31 local municipalities.